Speedball were one of the early mod revival bands to hit the UK scene. In a lot of ways they were more of a punk band than a mod band, but had a definite mod look and enough sixties soul and R&B influences to slip into the mod stream. Apparently they had a pretty loyal following, including some scooter clubs. This song, No Survivors was one of the band's earliest and became their first (and only I believe) single in 1979. 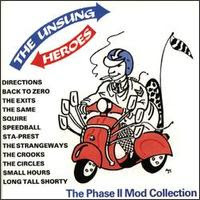 And, one of the best singles of the mod revival, not to mention one of the most expensive and collectible since the cover mispelled the band's name as Speedballs, adding the final,extra S. No Survivors was later picked up on the excellent "Unsung Heroes: The Phase II Mod Collection" compilation. Other than that the song --and the band-- have long gone unsung themselves which is a shame, as it's one of the best pieces of mod power pop from the era. The chorus is pronounced -- memorable in a very melodramatic way, catchy enough that you will have a hard time getting it out of your head. But, why would you? It could be much (much) worse. 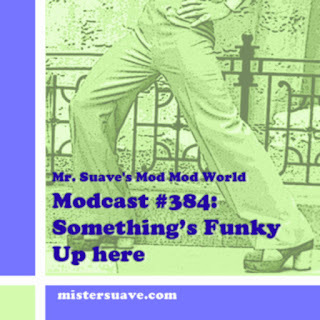 I first featured this song on Modcast #46 along with some other classics from The Rousers, The Kick, The Untouchabls, and even The Soul Survivors (and no not the song you're thinking of). If you want to check it out I'm going to open up the vaults this weekend and drag it forth for an encore public airing. Stay tuned. If anyone is after a seven inch vinyl copy my oxfam shop will be selling one on e-bay soon listing it on friday 8pm in excellent nick!